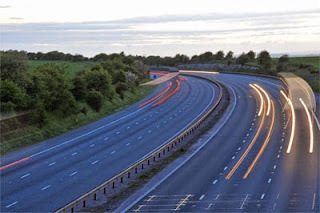 Union Minister of Road Transport & Highways, Shri Nitin Gadkari has said that the Ministry of Road Transport & Highways has taken a number of initiatives for the benefit of common road users while addressing the Members of Parliament of the Consultative Committee attached to his ministry here today. Enumerating the new initiatives in this regard, Shri Gadkari said that a web portal http://www.nhtis.org has been launched to make available for road users, information about toll plazas on National Highway including users fee rates. He said that public can access the information through mobile phone and SMS using this web portal. He informed that the electronic toll collection system, already launched on Delhi-Mumbai route, will be operationalised at all 300 toll plazas this year. Among other schemes undertaken by the Ministry, he discussed in detail Weigh-in Motion Bridge (WIM), Automatic Vehicle Counter & Classifier (AVCC) System, CCTV Surveillance System at NH Toll Plazas, Automatic Traffic Counter and Classifier [ATCC] systems and e-Tendering. Shri Gadkari said that to reduce human intervention and make the process of testing the drivers tough as well as transparent, CIRT, Pune has developed a camera based automatic driving test system, known as Innovative Driving Test System (IDTS). It provides an unbiased and transparent driving test mechanism with a complete back up of data and videos for generation of reports and redressal of grievances, if any. This system has been developed in-house and is being used by CIRT, Pune for the Motor Vehicle Department, Government of Maharashtra for grant of licenses to driving license aspirants through the IDTR. RTO Officers from the Pune and Pimpri Chinchwad regions are testing approximately 150 candidates per day to assess the driving skills of the license applicants and issue license in a transparent manner. The system has generated a positive response from the licensees as well as licensors i.e. RTO. Similar system is being set up at Chandigarh also by CIRT, Pune. Considering the benefits of the system, several states have shown interest in implementing such system which will be useful in eradicating malpractices and providing effective and transparent services to the license seekers. The system has been set up at a very low cost of Rs. 20 lakh per track (which depends on track dimensions). The Minister informed the Members that the Ministry of Road Transport & Highways has also launched a Web Portal, INAM-PRO –Platform, for infrastructure and materials providers. “INAM-PRO” would act as a common platform for infrastructure materials providers’ viz. cement companies, infrastructure providers, Ministry of Road Transport and Highways and other stakeholders. Thirtysix cement companies with more than 100 plants have given commitment for 95 Lakh MTs of cement for this year. On the other hand, more than 50 buyers have registered and out of them, 13 contractors engaged in public infrastructure projects have been authorized to do transactions so far. In future, INAM-PRO would have the potential to become a comprehensive window for the infrastructure materials and technology providers. Shri Gadkari added that Govternment has developed applications: http://vahan.nic.in - for vehicle registration and http://sarthi.nic.in - for driving license. As of now 100% success has been achieved by NIC in terms of deployment of Core Scheme/Product for Vehicle Registration (VAHAN) and for Driving Licenses (SARATHI) across the country. Now under a new initiative, the RTO – centric Vahan and Sarathi applications are being revamped to centralized, Web-enabled architecture with a view to provide ease of service, security and maintainability. Elaborating on the use of satellite to monitor road conditions, traffic, encroachments etc. the Minister said that a concept paper was submitted by NIC in January, 2014 to this Ministry on Roads & Highways Information System (RAHI) which intended to provide an important citizen – centric service in real time on the condition of roads/highways using ICT infrastructure in an integrated manner. To make payment process more transparent, payment monitoring system has been developed and being implemented, he added. Besides making system open and transparent, the monitoring system will facilitate easy communication between various offices and allow an user to track the status of a bill. Other major initiatives launched by the Ministry include Road Asset Management System, Vehicle Tracking System and Real Time Toll Data Management. The meeting was attended by Shri Bheemrao Baswanthrao Patil, Shri Birendra Kumar Choudhary, Shri Ganesh Singh, Shri Jagdambaika Pal, AVSM Major General(Retd.) Bhuwan Chandra Khanduri, Shri Mekapati Rajamohan Reddy, Shri Mohammad Salim, Smt Neelam Sonkar, Shri Sisir Kumar Adhikari, Shri Ishwarlal Shankarlal Jain and Shri P. Bhattacharya. The Government of India clarifies hereby that subsidy on woollen yarn has not been stopped and will continue to be available to the weavers. Member of Parliament, Ms. Viplove Thakur raised this issue during Zero Hour in Rajya Sabha on May 7th, 2015; the MP stated that subsidy on woollen yarn used by weavers of Himachal Pradesh, Uttar Pradesh and Jammu & Kashmir has been stopped. All India Sports Council of the Deaf (AISCD) has been recognised by the Government as the National Sports Federation for development and promotion of sport among deaf athletes. Till recently AISCD was functioning without any dispute among its office bearers. The Federation had held its elections in 2009 wherein Shri Rajiv Kumar Sharma and Shri E.K. Jose were elected as President and Hony. Secy. General respectively. Thereafter dispute arose between them and both claimed to have majority and levelled allegations against each other. In order to resolve the dispute, this Ministry called both the factions for a number of meetings were held. In one of the meetings it was suggested that since the elections were due in 2013, AISCD might prepone the elections and elect a fresh set of office bearers who could run the Federation without any internal conflicts and dispute. The faction led by Shri Rajiv Kumar Sharma held election on 10/3/2013 wherein Shri Rajiv Kumar Sharma and Shri Walter Fernandez were elected as President and Secretary General respectively. Subsequently, they approached the Govt. for grant of recognition to the newly elected body. Even though the faction led by Shri E.K. Jose had not held elections it was claiming to have the recognition of the International Federation (IF). Hence, it was advised to them that the newly elected body should obtain the recognition from its international body before approaching the Govt. for recognition. Since, there was delay in the decision of the IF on this matter and the deaf athletes were not able to participate in the international events, Govt. proposed to constitute an adhoc body, in the meeting held on 30/9/2014, in which both the factions would nominate 3 members each and the Govt. would nominate 1 person in consultation with those nominated members. This suggestion was agreed to by members of both the factions present in the meeting. It was also agreed that the adhoc committee would seek recognition from the international federation. Another meeting was held on 24/12/2014 to review the progress of constitution of the adhoc committee. In the said meeting one of the nominee of the faction led by Shri Rajeev Kumar Sharma, which had held election on 10/3/2013, informed that their faction has been given recognition of the Asian body and the IF has agreed to it. AISCD has now informed that Shri Rajiv Kumar Sharma and Shri E.K. Jose, leading the two warring factions, have resigned from the posts of President and Hony. General Secretary respectively w.e.f. 8/2/2015. The Federation has also informed that their General Body has nominated President Shri R.C. Santhian as Acting President as per AISCD’s constitution. The matter has been examined in the Ministry. Keeping in view all the relevant factors including the interest of deaf athletes, it has been decided with the approval of the competent authority to grant recognition to AISCD with Shri R.C. Santhian as Acting President subject to the condition that they should conduct fresh elections of the office bearers of AISCD within three months as per the Model Election guidelines devised by the Ministry and incorporated in the National Sports Development Code of India, 2011.